Get ready to celebrate 2016 with your Kirkwood business community! We'll eat, drink, dance and vote on where to allocate $5000 from this year's Wine Stroll profits to community projects. 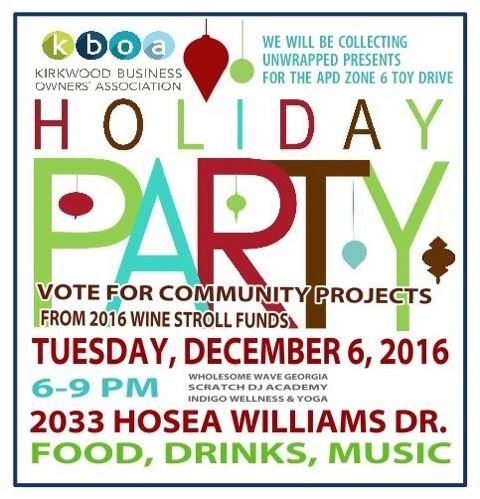 Voting happens online day of December 6th and at our Holiday Party. KBOA needs 24 members to vote to be able to allocate the funds!